Home › Health & Safety › How much of a risk do new cleaning agents pose to you? New and more powerful cleaning products are becoming more and more common in the workplace ­– but how do the chemicals they contain affect people’s health and safety? That is a question that a new UNISON health and safety survey sets out to answer after the union became aware of several incidents. Workers have developed breathing problems and even been overcome by fumes in some cases. Although the use, and potential misuse, of more powerful cleaning products might be sparked by increasing awareness of so-called superbugs such as c difficile and MRSA, the problem is not confined to the health sector. That is why UNISON is asking cleaners – and others who regularly do cleaning work – to take part in the survey, wherever they work. The survey can be found online at surveymonkey.co.uk/r/TJ682RJ. If you know someone effected but who doesn’t have a computer or smartphone, they can ask their union rep or branch to fill it in on their behalf. The survey will run until Monday 19 December and aims to find out the extent of the problem, and what can be done to keep staff safe. UNISON understands the anxieties over superbugs which are hard to eradicate, says assistant national officer Robert Baughan of the union’s health and safety department. 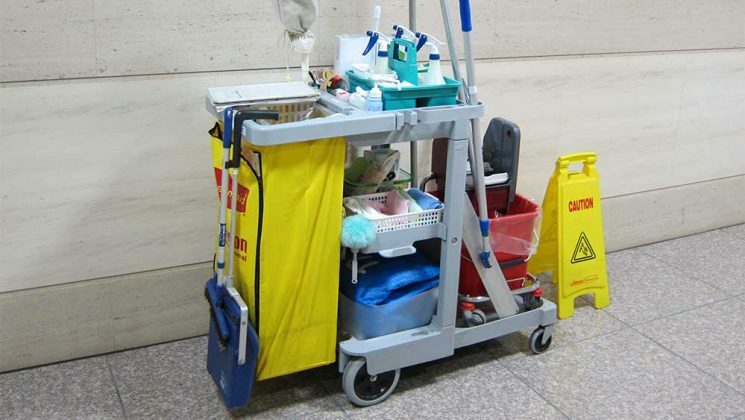 “We have long campaigned for employers to spend more and invest in cleaning services, including improvements to training and the terms and conditions of cleaning staff,” he added.